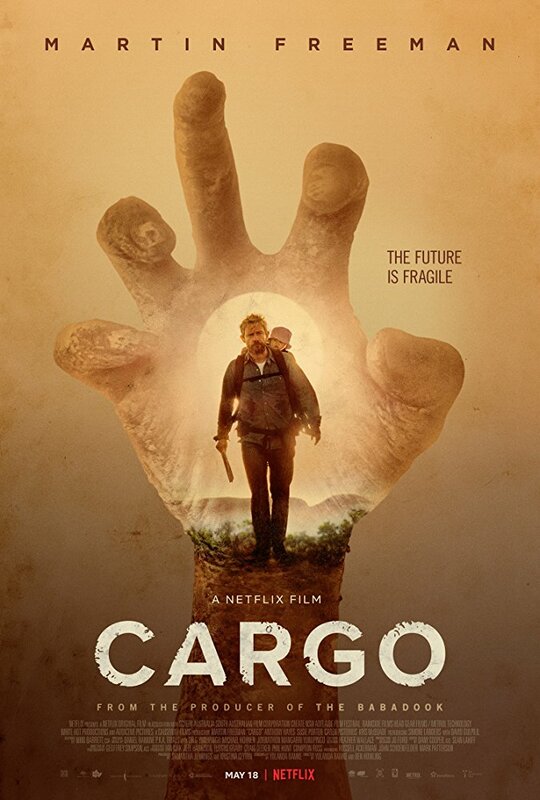 A feature length expansion of the filmmakers’ outstanding 2013 short of the same name, this unfolds in the wake of a world-decimating pandemic and follows the plight of optimist Martin Freeman who, following the infection of his wife (Susie Porter), does whatever he can to protect the life of his baby daughter. In a smart move at a time of zombie apocalypse overload, co-directors Howling and Ramke restrict the onscreen appearances of the roaming infected and achieve considerable impact from shocking off-camera moments. The attention to detail impresses: the early significance of Porter’s perfume pays off in the film’s most affecting emotional beat; the bile-like liquid that emanates from the eyes, nose and mouth of the infected is an unnerving touch; and the presence of anti-fracking campaign banners imply an explanation for the pandemic tipping the film into eco-horror territory. Tying the film to some of the great Australian films of the 1970’s are the presence of Peter Weir veteran David Gulpilil as a village elder and the prominent theme of the exploitation of the Aboriginal people: at the core of the story is the notion that they sensed what was coming before anyone else, acting accordingly. Simone Landes’ compassionate performance as a Native girl unfailingly devoted to her infected dad is particularly impressive, though the story is anchored by Freeman’s wholly committed, moving portrayal of a different father potentially facing the same fate. CARGO captures an early sense of despair akin to Cormac McCarthy’s THE ROAD and incorporates the post-apocalyptic human cruelty that dominated the Romero series, but also surprises by finding kindness, hope and community instead of overwhelming nihilism. An impressive piece of work, with evocative use of the expansive Outback locations and a distinctive original score.